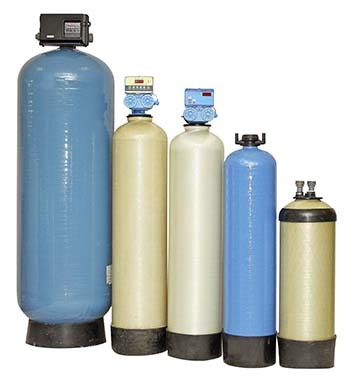 De-ionising cylinders can be purchased as a complete unit ready filled, with a variety of inlet/ outlet connections. A vessels exchange program is also offered for those customers with their own cylinders that require recharging. Nuclear grade resins are available upon request for those requiring a higher level of purification. Standard flow rate range from 0.10 – 4 m3 per hour. 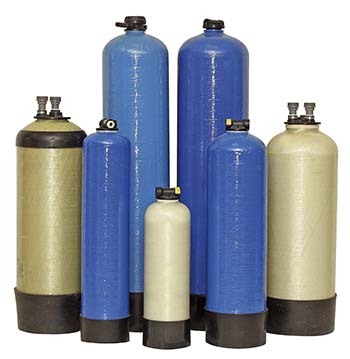 These can be used in conjunction with De-ionisation or reverse osmosis equipment to produce ultra-pure water with a resistivity of up-to 18 megohms. The range of filters can be used for colloidal and turbidity control. Various models are available with flow rates up-to 16 m3/hr. The filters are manufactured using GRP or composite vessels with ABS fittings and hardware as standard. Automatic back flushing is required to re-grade the media and remove the retained debris from the media bed. Back flushing is initiated via an electronic timer operating the diaphragm valves using the line water pressure. A full range of pumps and tanks are offered, tailored to customer specification, and application requirements. 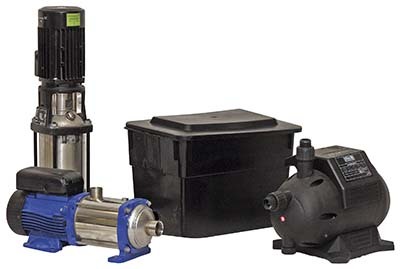 Pumps can be supplied from a range of manufacturers and include simplex and duplex configurations, up to complete packaged booster pump sets with multiple pumps. Tanks can be supplied from standard ranges and sizes, or a bespoke design service is also offered where an standard size tank is not suitable.